Pubcon Las Vegas is one of our favorite conferences here at Internet Marketing Ninjas (and not just because we love a good party). This particular conference notoriously brings together some of the biggest names in search for a week of inspiring presentations, interesting discussions, and yes, great networking events. It’s the highlight of the conference circuit for many people, and this year we’re bringing a whole gaggle of ninjas with us. We want you to come, too. 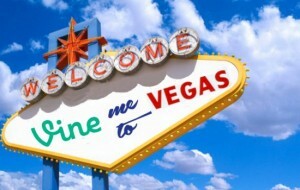 That’s right, we are giving one lucky winner a pass to Pubcon Las Vegas (plus $500 to help cover travel expenses) taking place October 22-24, 2013. How, you ask? Simple: make a Vine video and show us why you want to go. If you aren’t familiar with the app, Vine allows you to make 6-second videos using your smartphone or tablet (you can check out some cool examples here). Full rules are here [pdf]. We’ll be picking our favorite video after September 1. Winner will get a Gold Badge to Pubcon Las Vegas 2013, plus a $500 American Express gift card to help you get there. Already have your pass to Pubcon Las Vegas? Stay tuned – we’re planning another cool contest for those of you who will be there!